EghtesadOnline: The Central Bank of Iran has released its latest report on Tehran's housing market, painting a stark picture of the falling number of home sales and price jumps higher than inflation for the first month of the current Iranian year that began on March 21. According to the report published on CBI's official website that employs data from the Tenement Management Information System, only about 5,000 residential real-estate deals were registered in Iran's bustling capital during the initial month of the year. That number indicates respective decreases of 59% and 6.3% when compared with the month before and the same month of last year. "The volume of deals in the month of Farvardin were much lower than other months of the year following the trend of each year and under influence of Norouz [the Iranian New Year] holidays, therefore the drop in the number of registered deals in this month compared with the month before is mainly a result of this," CBI wrote in its report. But perhaps more shocking was the average price jump registered during the first month. The average price of each square meter of a residential unit in Tehran stood at 55.3 million rials ($1,316) in that month, which is 2% lower than the previous month, but a whopping 29.5% higher than the same month of last year, Financial Tribune reported. That is while CBI had put the general inflation rate of the country at 9.6% for the whole of the previous fiscal year and at 9.2% for Farvardin. Price surges can be explained against the backdrop of foreign exchange volatility that saw the rial lose a quarter of its value during the four months to March 20. From the 22 districts of the capital, District 5 once again registered the highest average price rise of a hefty 46.7% when compared with the same month of last year, while at 4%, District 19 had the lowest price hike. District 1 was again the priciest district with each square meter sold for an average of 116.4 million rials ($2,771) while at 26.4 million rials ($628) per square meter, District 18 was the cheapest. Those numbers are respectively higher by 43.9% and 33.9% when compared with the same month of last year. 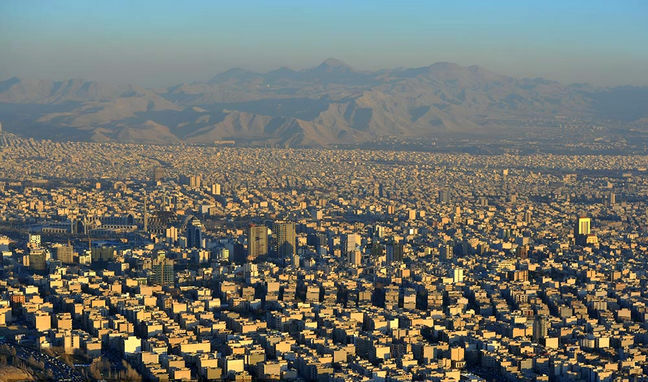 From the total of 5,046 residential units which changed hands in Tehran during the first month of the current year, units with an age of up to five years grabbed the highest share at 42.5%. The aforementioned share shows a 3.2% year-on-year decrease and that share has been transferred to units aged between six to 10 years and more than 15 years, which registered respective shares of 16.7% and 15.9%. According to CBI, rents grew by 10.4% and 9.3% when compared with the previous month and the same month of last year respectively. Residential units with an area of between 60 to 70 square meters had the highest share of purchased homes at 15.7% and units with areas of between 50 to 60 square meters and between 70 to 80 square meters came next with respective shares of 15.5% and 11.7%.